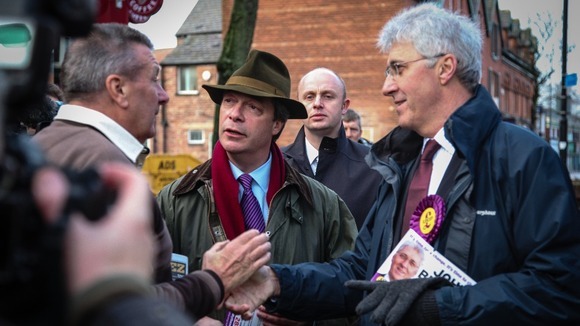 UKIP's John Bickley came second in yesterday's by-election in the Labour stronghold of Wythenshawe & Sale East. A hate campaign by Labour and BNP activists that saw voters and activists abused and intimidated and criminal damage at UKIP's office in Sale wasn't enough to see off UKIP's surge from fifth place in the last election in Wythenshawe & Sale East to second. UKIP saw the biggest increase in vote share followed by Labour and the BNP whilst the Lib Dems and Tories experienced huge losses. The Lib Dems, Greens, BNP and Monster Raving Loony Party all lost their deposit.